Why look for the PPFA decal? As the professional trade association for the custom framing industry, PPFA connects frame shops, art galleries, and suppliers to a network of knowledge and support. A professional framer can show you a wide variety of interesting frame styles and finishes to creatively show off photos and prints, as well as shadow boxes for three-dimensional items such as heirlooms, awards and medals. Through their extensive knowledge of proper techniques and materials, a CPF knows how to properly protect and preserve artwork, memorabilia, and valuable items while offering recommendations for the best possible presentation. The perfect place to learn more about custom framing, find expert advice, and search for local frame shops. Serving the art and framing community worldwide since 1971, the Professional Picture Framers Association™ (PPFA®) encourages artisans to hone the time-honored skill of custom framing. As the professional trade association for the custom framing industry, PPFA connects frame shops, art galleries, and suppliers to a network of knowledge and support. PPFA builds on its 40+-year history of establishing best practices for framing, and providing programs and services essential for entrepreneurial success. Through education, certification, business services, industry research, and events, PPFA leads its members to discover, understand, and act on new business opportunities. Your life is art and we want to frame your world one corner at a time! Let us help you find ways to display important memories and cherished art by focusing on what matters most to you. Studio ADT provides custom framing of original art, photography, posters, diplomas, shadow boxes for keepsakes and sports memorabilia, canvas stretching and vanity mirror frames. We partner with local artists to promote and exhibit their art. 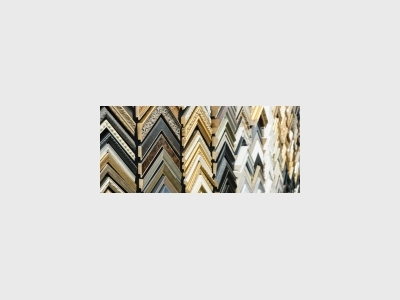 We take pride in offering you the greatest selection in quality picture framing materials. More importantly, we have educated, trained and experienced (EXPERT) framers to guide you through the selection process. The Epson SureColor P20000 Utilizes New PrecisionCore Print Head Technology to Deliver High-Quality, High-Production Output.